Vmotion is the feature of Vsphere which enables the Virtual Machines to move on to different ESXi host without going down. Whenver Cluster detects the resource utilizaiton on one host it moves automatically VM to another less utilized ESXi host by using DRS. In another article you will have details about "What is DRS?" 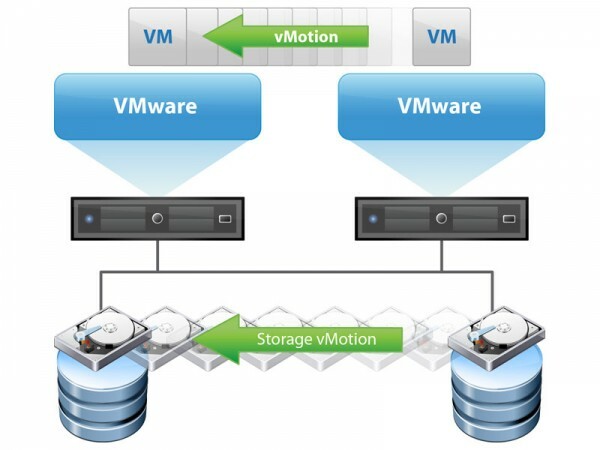 A long-distance vMotion is present since vSphere 6.0. An RTT (round-trip time) latency of 150 milliseconds or less, between hosts. Your license must cover vMotion across long distances. The cross vCenter and long distance vMotion features require an Enterprise Plus license. Long-distance vMotion allowing to vMotion VMs from one data center to another (to remote site or cloud data center) and the requirements on this is to have a link with at least 150 ms RTT (previously 10 ms was necessary ). VM which leaves for another vCenter will keep its MAC address and this MAC address will not be reused in the source vCenter. Put comment/feedback/query for better improvements or new articles. Reference taken from vmware site.